Dexter Gordon’s marvelous stretch of early and mid-sixties Blue Note recordings occured both in the US and in Europe. As one of an increasing number of American jazz expatriates in the sixties, the tenorist had settled in Copenhagen, Denmark. When back in the US for short periods, Gordon recorded at Rudy van Gelder’s studio. Our Man In Paris – obviously – was recorded in Paris, just as Gordon’s outstanding, daring 1964 album, One Flight Up. Gordon beautifully explores new (partly) modal grounds. Just over 19 minutes long, the free-flowing Tanya, a Donald Byrd composition, occupies the whole of side A. It has an easygoing yet urgent swing from start to finish. During the two opposing sections of tension and release that comprises the song’s structure, Dexter Gordon carefully builds his solo, phrasing assertively and fluently. He displays strong, wailing lines. Gordon’s standard is incredibly high. Obviously, his extended engagements at Copenhagen’s foremost jazz club, Club Montmartre, had given him the opportunity to further hone his already impressive craft. Kenny Drew and Donald Byrd alternate well between atmospheric and pungent playing. But the key to Tanya’s succes undoubtly is the work of Art Taylor and Niels Henning Orsted-Pedersen. They keep the extended groove going not only by keeping steady time, but also by their free-spirited playing. Basically their voices are as important as that of the front row. Orsted-Pedersen was only 18 years old and already one of Europe’s prime bass players. A great technician, his strongly plucked notes are perfect companions to Art Taylor’s snap-crackling, syncopated, powerful drum rolls. Art Taylor – also an expatriate at the time – had always been in great demand and recorded with almost all the major jazz figures of the fifties and sixties. His work on One Flight Up, especially on Tanya, is definitely one of his greatest achievements on record. The Paris production of Taylor’s drums is amazing; lively, spacious. Indeed, the whole album benefits from excellent engineering. No worries for Rudy van Gelder at the other side of the big pond. Kenny Drew’s Coppin’ The Haven has a similar structure as Tanya. Gordon’s immaculate execution and long phrases are the pillars of a fullfilling tenor tale. 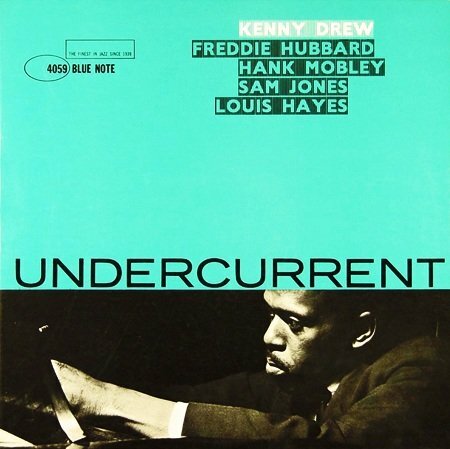 Kenny Drew delivers a good mix of inside and outside phrases, alternating between the impressionism of McCoy Tyner in the modal section and funky, fiery lines in the swinging part. Gordon finishes the set with a lush, vigourous interpretation of the DeLange/Van Heusden standard, Darn That Dream. It’s on par with the like-minded ballads of his previous Blue Note albums, such as Dexter Calling and A Swingin’ Affair. Because of the coherence in sound and high quality interplay, Darn That Dream blends well with Gordon’s forays into modal jazz. Thus ends a courageous, mesmerising classic album in the catalogue of the great Dexter Gordon.